It wasn’t that long ago that a new bulk plant project consisted of a tank, concrete piers, and your good buddy who could help you with the bulkhead, piping and plumbing. But over the past 10-15 years new technology, systems and methods have changed. Traditional bulk plants built using bare tanks and concrete piers are still common, but the emergence of turnkey systems has made the installation process quicker and easier which in turn has enabled faster time to production. To highlight the different installation services and systems available today, we can break it down into three broad categories; Build-On-Site Services, Modular Systems, and Turnkey Skid Packages. This method is most like the traditional do-it-yourself model. The primary difference is that today there are numerous companies that you can contract with to handle some of the project or the whole thing. Build-On-Site bulk plant installation services include materials, labor and services required to build an operational bulk plant facility. 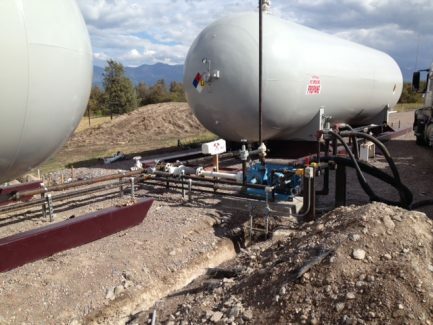 Specific services available include system design, site evaluation, permitting, excavation and foundations, tank off-loading and crane services, bulkhead and piping installation, electrical work, pressure testing and other services. The standard scope of work typically includes furnishing and installing a storage vessel, new valves and piping, bulkhead, pump package and pneumatic operating system, but can include many other custom options. Contracting out the project provides the obvious benefit of freeing you up to stay focused on your business. Companies in the bulk plant installation business are usually experienced, certified professionals so protection from liability is an additional benefit to having someone else handle the installation for you. Modular Systems provide plug-n-play capability by providing pre-built components which are easily tied in with simple piping from the tank valves to the modular system’s inputs. Rather than build the entire plant on-site from the ground up, modular systems allow you to selectively have certain portions of the new plant pre-built. One example is a pre-plumbed combination pump / bulkhead skid (see pictures below). The bulkhead stanchion is equipped with transport unload, bobtail load, vapor equalization and emergency shutdown. Rather than building a bulkhead on-site, this system is built off-site and shipped to the new plant location. 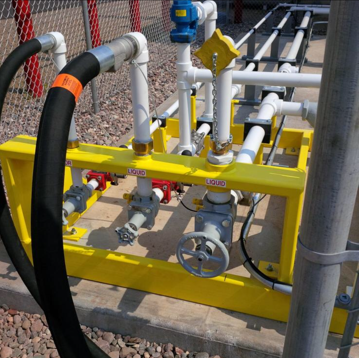 Once delivered, the system can be ready for use with a minimum of on-site piping work and simple connection to electrical service. Modular systems can be configured for many purposes, but some of the more common ones include bulkhead systems, cylinder-fill pump systems, motor fuel dispensers, meter systems, rail systems, and skid-mounted lighting. Since turnkey modular systems are pre-built, using this approach significantly reduces time in the field. 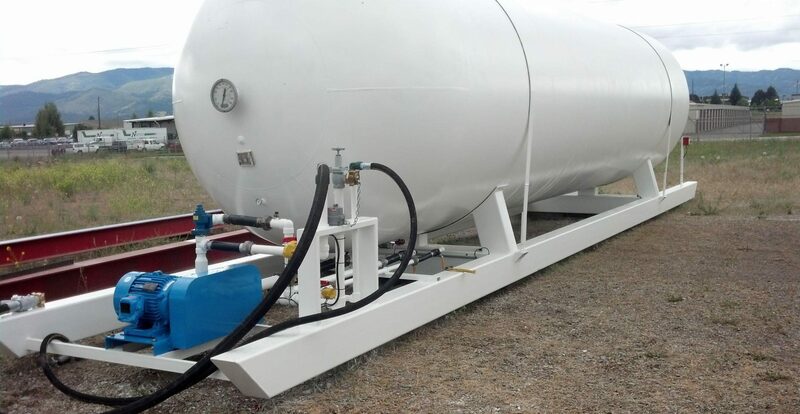 Most systems are skid mounted so are easily placed and provide flexibility to move locations as needed. Customization is not an issue since many designs are possible and the cost is comparable to on-site builds even when factoring in the additional system freight. 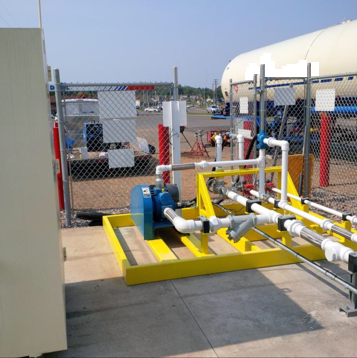 A Turnkey Skid Package consists of a storage vessel, bulkhead, valve package, piping package, pump with electric motor, and shutdown system all self-contained on a skid or frame. The bulkhead typically serves a dual-purpose by providing for transport unloading and bobtail loading. Most skid systems come with a 3” pump with 10 HP electric motor for handling bobtail duties. 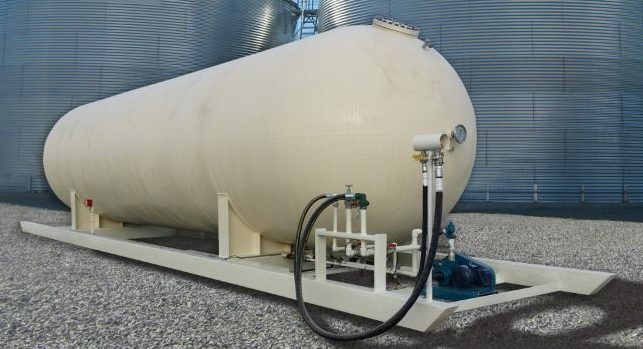 Skid packages are customizable and can be configured with dual bulkheads, compressors, cylinder-fill, auto-fill and other systems. Skids often also provide service to grain dryers or are used as an energy source to heat buildings. The direction you choose will depend on your specific needs. If you haven’t already done so, you should answer these and other questions before moving forward. How much storage do you need and what are your plans for future growth? What’s your budget for the project? How soon do you need to get this done? Do you want to build the plant yourself or have someone do it for you? Do you prefer new or is used storage an option? How much space do you have? Are there any site-specific restrictions? What electrical supply is available? What options and systems need to be included? Once you’ve answered these and other questions specific to your installation, you’ll be in a much better position to define the scope of your particular project and make well-informed decisions regarding which installation processes and services are best for you. The systems and options available for building a new bulk plant have changed over the past 10-15 years largely due to improvements in processes and technology. 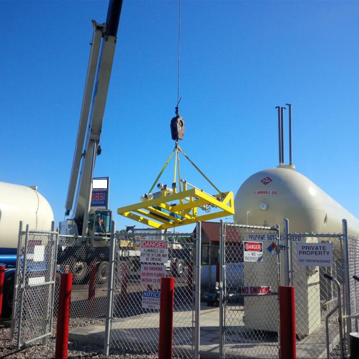 Today, build-on-site services can be employed to handle the entire project from the ground up, modular systems can be used to pre-build select components of the plant, and turnkey skid packages can provide the quickest time to production by providing a ready-to-go bulk plant. Your business requirements and available resources will determine which is the best choice for you.